Whoever said that diamonds are a girl’s best friend never owned a pet. Every pet parent knows that safety and care are the number one priorities and responsibilities of owning a pet, even while traveling. As much as we love glancing in the rear-view mirror and soaking up the site of Buster hanging his head out of the window, whiskers blowing in the breeze, it’s important to keep our pets contained and secured on the road. Today, there are so many functional, fashionable and even fur-resistant products on the market to keep you and your pet safe on your next road trip. Nobody ever plans a car accident on their daily commute. According to the American Automobile Association, more than 80 percent of dog owners actively drive with their pet in the car. Of that dog-gone large percentage, only 16 percent use proper safety restraints while transporting their pets. You know how dangerous it is for humans to drive without a seatbelt, so why should it be any different for your pets? They could be projected out of your vehicle or become severely injured in a car wreck, or even cause an accident by distracting you while driving. Using a dog seat belt is the perfect solution. Ensure a safer drive by decreasing distractions and keeping your pup in place. Your pet will feel more comfortable as seat belts allow them to maintain their stability and balance, all while restraining movement under duress. Attaching a seat cover can help your dog stay poised and maintain a grip while keeping your car clean. 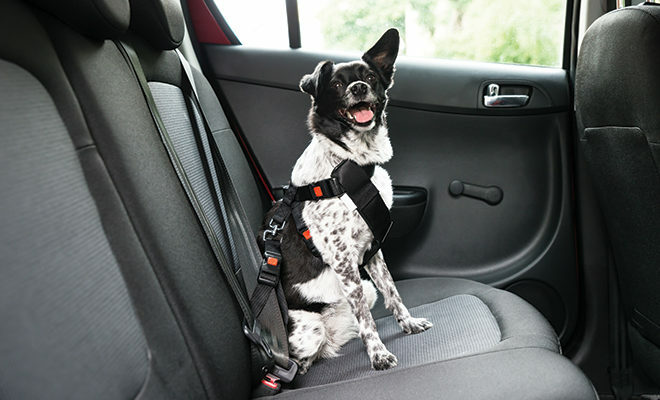 Many dog seat belts clip onto a harness that keeps your pet in place. Allow your dog to become more comfortable with getting buckled in by introducing him to wearing the harness throughout the day. Some safety belts attach to the car’s seat belt and others clip directly into the buckle, so choose the best fit based on size and weight of your co-pilot companion. There are currently no standard regulations for buckling up your pup, but implementing a seat belt is a great way to keep you, your pet and other drivers safe. While seat belts allow your dog to move safely and comfortably in a restrained space, some pets may prefer to sit in a carrier. Booster seats and carriers are a bit sturdier and offer more comfort. Carriers are available in hundreds of different designs and styles, many of which allow your dog to sit high enough to see out of the window. Kennels are a great solution to traveling with large dog breeds as they keep them confined in a secured space and include reinforcements that ensure your dog is safe on impact. A crate-trained pup or feline sees their kennel as a safe space, so driving with it may help relieve travel-induced anxiety or illness. As a dog mom of two French bulldogs, I always travel with an emergency kit. 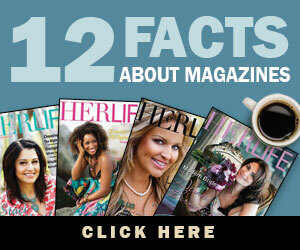 You can purchase a pre-made kit or compile your own products. Mine includes gauze pads, adhesive tape, allergy pills, travel bowls, water bottles, bags of dog food, tweezers, antibiotic ointment and a copy of our vet records. Having these items on hand can be crucial in case of emergency. In addition to the emergency kit, bringing along a few of your pet’s favorite toys and treats will help keep them comfortable and less likely to become destructive or distressed due to boredom. Long car rides can be stressful on your pet. They don’t know where they’re going or how long it will take to arrive, so do your best to stay patient and help them remain calm. You can ask your veterinarian for advice on administering a calming aid, whether it be a melatonin dog chew or a feline water additive. ThunderShirts® are vests made for cats and dogs to apply constant, gentle pressure on their chest and torso. This is a long-practiced technique used to relieve anxiety in animals. 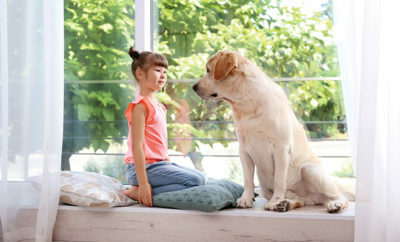 In addition to safely restraining your pets, the following tips can help make for a smooth ride. Consult your vet about your trip and bring along any necessary medication. Map out parks and pit stops before your trip to guarantee proper potty breaks and exercise. Travel with up-to-date name tags and vaccination records. Never leave your pet alone in a parked vehicle, especially on a hot day. Next Story → Caregivers Needed! There’s a New Pet in the House!